If you haven't gotten tickets for tomorrow nights Mumford & Sons show at The Record Bar, you might be out of luck. Unless you want to pay 5 times the ticket price online, the show is sold out. However, you still have a chance to see them early tomorrow morning. The band will be playing a "Kegs & Eggs" show for 96.5 the buzz at The Firefly Lounge in Westport tomorrow morning at 6AM. I have no idea what to expect as far as how many people will show up that early, but the buzz listening base doesn't really seem to be the early rising type. 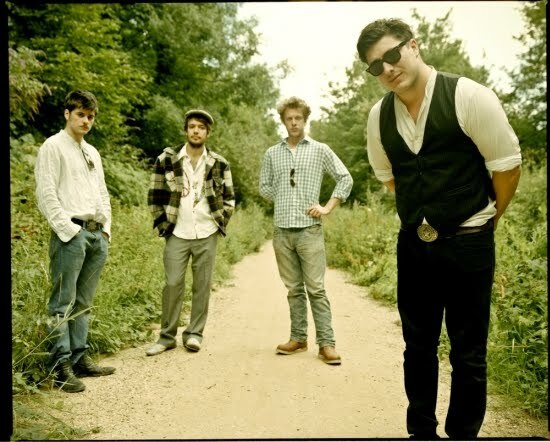 Be there early for a chance to see an early morning acoustic show from Mumford & Sons. Also, if you do have tickets to the show tomorrow night, you'll be happy to learn that Omaha natives The Mynabirds will be opening for Mumford & Sons. The Mynabirds singer sounds like a perfect mix of Jenny Lewis and Chan Marshall, so if you have tickets, get there early to check them out!